Accommodations will range from US$40 to $80 per night for a single or double (standard) room, depending on the star class of the hotel you select on the registration form. Abstracts and registrations are not fully accepted until payment is received. 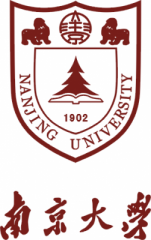 Non-Field Trip participants will visit Nanjing University on 17 August​. ** Due to the special arrangements for this meeting, space is limited and early registration is required. Most international participants will need a visa to enter China. If you qualify, you should apply for a simple tourist visa (Visa Type L). If you are not able to apply for a tourist visa because of your citizenship, and you require a business visa (Type F), please contact the conference secretariat at jiezhangigupre@126.com. Field Trip Registration includes excursions in both Suzhou and Nanjing. The registration fee does NOT include accommodations and airport transfers. Paper Acceptance Notification between 1st and 10th May 2016. Please ensure that you provide a good, working email address when you submit your paper. Please remember your Paper ID , which will be issued when you submit your abstract/paper on the EASYCHAIR website. Registration will Close on 10 June 2016. No late registration will be possible. 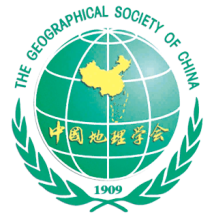 We are planning to hold a post-symposium seminar titled Heritage Tourism and Geography in Anhui Normal University, Wuhu City, China, 19-20 August 2016, which would include a field excursion to Huangshan (Yellow Mountain) National Park, a UNESCO World Heritage Site. This event will include room reservations and transportation from Nanjing to Wuhu. Tickets to Huangshan National Park, accommodations, lunch and dinner on August 19 and 20. We are applying for financial support to cover some of the expenses. Registration and payment for this post-symposium seminar will only be possible at the conference site in Nanjing. This event is still under development and additional information will be posted here. Please contact us at jiezhangigupre@126.com for more information if you are interested.